The Arts Partners Schools Teaching Artist roster has come together and has been busy looking at arts integration curriculum design and professional development in arts integration for teachers. They have met together in September and again in December to learn from each other through sharing ideas and experiences. It has been exciting to hear the level of discussion and the exchange of creative energy. Twenty artists from our teaching artist roster have applied and been accepted to the Arts Partners team. They will be working with the five schools who have signed on with Arts For Learning as Arts Partners.  Being an Arts Partner provides them with residencies, embedded professional development, and free tuition for 5 teachers to the Summer Arts Integration Studio, a four day institute at the New Britain Museum of American Art and Central CT State University. Here, teachers, students and artists will learn together about ways to integrate art into every aspect of the curriculum, as well as just enjoy the creative process, too. The Studio is scheduled for June 29 – July2, 2015. Watch for more news about the Arts Partner Schools Initiative and how the 20 artists are moving this along!